The financial crisis of 2007 and 2008 continues to reverberate in the UK asset management industry notwithstanding the economic recovery that has taken hold in recent years. There continues to be regulatory and political focus at EU and domestic level on the reform of existing financial regulation to protect market stability and prevent the build-up of systemic risk in the financial system. Large-scale reforms have been, to a large extent, driven by European initiatives, with many new measures originating at EU level; for instance, the Alternative Investment Fund Managers Directive (AIFMD) and the revision of the markets in financial instruments regime (MiFID II). However, the UK authorities have also continued their focus on building fairer and more effective financial markets. The Fair and Effective Markets Review – instigated by HM Treasury and the Bank of England to focus on fixed income, currency and commodity markets – came to a close during 2015, and the outcomes of that review seek to instigate change at both a domestic and international level. The UK Financial Conduct Authority (FCA) also continues to focus its attention on the asset management sector, with notable recent supervisory activity including its Asset Management Market Study. The main framework for the regulation of asset management activities in the UK is contained in the Financial Services and Markets Act 2000 (FSMA) and various instruments introduced under the powers contained in the FSMA. Participants in a CIS must not have day-to-day control over the management of the property.13 In addition, the relevant arrangements must involve the pooling of participants' contributions and the profits or income out of which payments are to be made to such participants, or the property must be managed as a whole by, or on behalf of, the operator of the scheme,14 or both.15 The potentially wide definition of a CIS included in the FSMA is narrowed by the Financial Services and Markets Act 2000 (Collective Investment Schemes) Order 2001 (Collective Investment Schemes Order),16 which excludes, among other arrangements, all bodies corporate (other than open-ended investment companies (OEICs) and limited liability partnerships), contracts of insurance, and occupational and personal pension schemes.17 A CIS need not have any particular legal form and, subject to the exemptions outlined above, the concept attaches to a wide range of legal vehicles and contractual arrangements. The FCA is the conduct-of-business regulator for all authorised firms. It is also responsible for the prudential regulation of all firms not authorised by the Prudential Regulation Authority (PRA). PRA-authorised firms (being, broadly speaking, banks, insurance companies and certain systemically important investment firms) are dual-regulated by the PRA for prudential matters and the FCA in respect of conduct of business. Most investment managers and investment vehicles requiring authorisation are regulated solely by the FCA; however, those deemed to be of significant importance to the UK's wider financial system fall within the ambit of the PRA's supervision. securing an appropriate degree of protection for consumers. Under the FSMA, the FCA has extensive rule and code-making powers; it is permitted to issue such rules that it considers necessary or expedient for the purpose of advancing one or more of its statutory objectives. The rules and guidance applicable to FCA-authorised firms are consolidated in the FCA Handbook, which includes high-level standards, conduct-of-business requirements, regulatory guides and specific specialist sourcebooks applicable to a wide range of asset management vehicles and arrangements.21 The content of the FCA Handbook is heavily influenced by EU legislation; for instance, the Markets in Financial Instruments Directive (MiFID), which sets out various organisational and conduct-of-business requirements that apply to authorised investment firms.22 The FCA has recently substantially updated the FCA Handbook to reflect the MiFID II regime, which came into force in January 2018. The FCA makes use of a number of supervisory tools in its oversight of the asset management industry, including thematic reviews and market studies, which involve investigations into key current or emerging risks relating to a specific issue or product.23 Notably, the FCA recently published the final report on its wide-ranging asset management market study in June 2017. The key findings of that study focused on price competition in a number of areas of the asset management industry, fund performance, how asset managers communicate their objectives to clients, and the role of investment consultants and other intermediaries in the asset management sector (see further details in Section V(vi) below). In March 2017, the FCA published the final report on its Financial Advice Market Review (FAMR). The latter was launched jointly by HM Treasury and the FCA in August 2015 to explore the ways in which the government, industry and regulators could stimulate the development of a market that delivers affordable and accessible financial advice and guidance. The final report set out a series of recommendations intended to tackle barriers to consumers accessing advice and guidance. Those recommendations fall into three key areas: the affordability and accessibility of advice, liabilities of investment advisers and redress. As part of the implementation of those measures, the report recommended that the FCA and HM Treasury should work together to develop an appropriate baseline and indicators to monitor the development of the advisory market. The FCA published its baseline report in June 2017, and is currently intending to monitor developments in the market and assess the impact of the FAMR recommendations until it conducts a review of their outcomes in 2019. Another key area of interest for the FCA over the past few years has been potential conflicts of interest between asset management firms and their clients, particularly in relation to the clarity of fund charges, inducements given or received by investment firms, and the way in which commissions charged to customers were spent. Prior to the implementation of MiFID II, the FCA had reformed its rules on the use of dealing commission to make clear that commissions should only be spent on the actual costs of executing customer orders, goods and services related to the execution of trades, or goods and services related to the provision of research. Under the new MiFID II inducements regime, however, many asset managers are now prevented from charging clients for research on a bundled basis, and must either pay for the research directly from their own balance sheets or charge the costs back to clients via a special research payment account.24 The FCA announced in June 2018 that it is to begin a review of how asset managers are implementing these new rules and, in particular, how firms are pricing research and corporate access services. A range of legal vehicles is commonly used for asset management activities in the UK. These include limited companies, trusts and limited partnerships, as well as certain bespoke legal forms specific to the investment funds context. The choice of legal form of an investment fund will often be influenced by the tax treatment of that fund and the regulatory implications for both the fund and the fund manager that follow from that choice. Open-ended funds issue and redeem securities to and from investors in a fund on an ongoing basis at a price that is based directly on the underlying net asset value of the investment portfolio held by the fund. In the UK, an open-ended investment vehicle may take the form of a UUT or one of three forms of authorised CIS: authorised unit trusts (AUTs), OEICs and authorised contractual schemes. Such authorised CISs may, in turn, be UCITS schemes, non-UCITS retail schemes or qualified investor schemes, as discussed below. The original form of open-ended fund in the UK is the unit trust. This relies upon the English common law concept of trust, under which a trustee holds the legal title to the trust property on behalf of the beneficiaries (in this case, the investors) who themselves have a beneficial interest in the underlying trust assets. Typically, the trustee will be a financial institution with experience in offering trust services (in the case of AUTs, it is important that the trustee is authorised under the FSMA27). However, unlike other general forms of trusts, there will also be a separate fund manager to formulate and implement the unit trust's investment strategy, working alongside the trustee. Trusts themselves do not have any legal personality under English law and therefore cannot contract in their own name. Instead, they are characterised by the trust relationship between the trustee and the beneficiaries, which will be established by the relevant document constituting the trust (which, in the case of unit trusts, is typically termed the 'trust deed'). An AUT scheme is defined in the FSMA as a unit trust scheme authorised in accordance with Section 243 FSMA.28 The FCA may authorise a unit trust scheme if it is satisfied that the requirements contained in that Section are met, the rules in the FCA's Collective Investment Schemes Sourcebook (part of the FCA Handbook, commonly referred to as COLL) have been satisfied, and it has been supplied with a copy of the trust deed constituting the AUT and a certificate signed by a solicitor that states that the requirements in Section 243 and COLL have been met. It is possible for unit trusts to be unauthorised, meaning that no FCA approval has been granted under Section 243 FSMA. This has the advantage that the UUT is not subject to the detailed requirements in COLL, but it does not benefit from the exemption on the prohibition on financial promotions to the public in the UK and, unless all of the investors in the UUT are exempt from UK tax on capital gains other than by reason of residence or the UUT benefits from pre-6 April 2014 grandfathering, it will broadly be taxed as though it was a UK-resident company. This tends to mean that unauthorised trusts are attractive to a narrower range of professional investors and are unsuitable for use as retail investor schemes. OEICs were introduced in the UK partly as a response to the unfamiliarity of overseas investors with the trust structure underlying unit trusts. They represent a compromise position in English law by permitting a company to have a variable capital structure.31 In many ways, OEICs are similar to AUTs (the statutory and regulatory provisions applying to both often use similar wording and concepts), but OEICs are bodies corporate and therefore have separate legal personality. As a result, OEICs are not based on the English law concept of the trust, and the OEIC itself will hold the beneficial interest to the investment portfolio (while the investment assets must be entrusted to a depositary, which will hold legal title to them32). Therefore, investors in an OEIC are, to an extent, in a similar position to shareholders in a traditional limited company. An OEIC must also have an authorised corporate director that will assume responsibility for the OEIC's ongoing operating duties.33 Although an OEIC may theoretically have additional directors, this is rare in practice, and it is far more common for the authorised corporate director to be the sole director of the OEIC. The Treasury is empowered under the FSMA to make rules that regulate OEICs,34 and the current regulatory framework operates through two distinct sets of regulations: the Open-Ended Investment Companies Regulations 2001 (OEIC Regulations),35 and those parts of COLL relevant to OEICs. OEICs are not regulated by the general company law provisions contained in the Companies Act 2006, despite their status as bodies corporate under English law. The formation of OEICs is governed by Part II of the OEIC Regulations, which states that an OEIC is incorporated upon the coming into effect of an authorisation order from the FCA.36 Since the only method of incorporating an OEIC is through this FCA authorisation procedure, it is not possible to have an unauthorised OEIC in the UK (unlike a unit trust, which may be either authorised or unauthorised). The Collective Investment in Transferable Securities (Contractual Scheme) Regulations 2013 (Contractual Scheme Regulations) came into force on 6 June 2013.41 The Contractual Scheme Regulations provide for a new form of authorised CIS: an authorised contractual scheme (ACS). Previously, collective investment activity authorised by the FCA could only be carried out through AUTs or OEICs, neither of which are tax-transparent (although neither AUTs or OEICs are generally liable to pay UK tax on the chargeable gains realised on the disposal of investment assets, nor are they generally liable to pay UK tax on their dividend income). ACSs, on the other hand, are tax-transparent collective investment vehicles, meaning that they are not within the charge to direct taxes and any tax liability is at the investor level. The introduction of ACSs is intended to increase the competitiveness of the UK's asset management industry. A UCITS scheme must comply with the following criteria: it must be an AUT, an OEIC or an ACS; the sole object of a UCITS scheme must be collective investment in transferable securities48 or in other permitted financial instruments49 operating on the principle of risk-spreading; and the units in the fund must, at the request of the unitholders, be repurchased or redeemed, directly or indirectly, out of the scheme's assets (which includes action taken by or on behalf of the scheme on a stock exchange to ensure that the value of its units does not vary significantly from their net asset value). Alternatively, a UCITS scheme may be an umbrella scheme, having sub-funds that each would be a UCITS scheme if they had separate FCA authorisation. A scheme will not constitute a UCITS scheme for the purposes of the rules in the FCA Handbook if its instrument of incorporation (for an OEIC), trust deed (for an AUT) or contractual scheme deed (for an ACS) contain a provision that means that its units may only be sold to the public in non-European Economic Area (EEA) states. UCITS schemes must comply with a more stringent regulatory regime; however, they may benefit from cross-border passporting, which allows a UCITS authorised in one EEA State to market its units into any other EEA State. Provisions allowing for the cross-border marketing of UCITS schemes of other EEA States are included in the rules for recognised overseas schemes in COLL 9 and in Section 264 FSMA. The competent authorities of the home Member State of the relevant UCITS fund are required to notify the FCA that the fund has been authorised under the UCITS Directive in that Member State, following which the fund will have the right to begin marketing units in the UK immediately. COLL includes provisions governing the operation of funds of alternative investment funds (FAIFs) that are NURSs (or sub-funds of umbrella NURSs) operated in accordance with specific rules set out in COLL 5.7 (some of which incorporate general rules that are applicable to all NURSs from COLL 5.6). The regulatory regime for FAIFs is therefore essentially a relaxed version of the rules that apply to NURSs, providing increased flexibility in respect of investment powers. The limitations on the borrowing powers of QISs are similarly relaxed. There is a general rule that the borrowing of a QIS must not exceed 100 per cent of the value of its assets, and the fund manager must take reasonable care to ensure that arrangements are in place that will enable borrowings to be closed out to ensure compliance with that rule.79 However, there is no requirement that borrowings can only be of a temporary nature. Closed-ended funds differ from open-ended funds by issuing a fixed number of securities, usually determined by the fund's constitutional documents or by the general requirements of the law regulating the type of fund entity, or both, with investors realising their investment either by selling the securities in the secondary market or upon the winding-up of the fund at the end of its life. Therefore, unlike open-ended funds, closed-ended funds do not undergo the constant expansion and contraction of the number of securities in issue throughout their life in response to ongoing investment and redemption. In the UK, the most common closed-ended structures are investment trusts (which are actually companies) and partnerships. Investment trusts, despite their misleading name, are not trusts, but rather are public limited companies that are listed on a recognised stock exchange. As such, the usual company law provisions contained in the Companies Act 2006 apply to investment trusts, and there is no separate legal regime governing their form and structure (e.g., as there is for OEICs). However, to constitute a valid investment trust for tax purposes, a company must meet the criteria set out in Section 1158 of the Corporation Tax Act 2010. Unlike open-ended funds, the shares in an investment trust may trade at a discount or a premium to the net asset value of the company's underlying assets, depending on levels of supply and demand on the stock exchange. It is usual for the shares of investment trusts to trade at a discount, which can lead to considerable time being spent on attempting to manage the level of this discount. In particular, investment trusts commonly seek general shareholder authority (usually on an annual basis) to make purchases of their own shares in the market from time to time in order to support the price at which their shares trade. Investment trusts themselves do not require authorisation under the FSMA. However, following the implementation of the AIFMD, managers of investment trusts either require FCA authorisation or, in certain limited instances, to be registered with the FCA to carry out the activity of managing the investment trust. Investment trusts have a board of directors, but management is usually delegated to an investment management company; this external manager must therefore be authorised and comply with the requirements of the AIFMD. If the investment trust is internally managed, the investment trust itself must be authorised or registered. Under the Collective Investment Schemes Order,84 investment trusts do not qualify as CISs, and therefore the restrictions on the promotion of CISs in Section 238 FSMA do not apply.85 However, shares in an investment trust will constitute specified investments under Article 76 of the Regulated Activities Order, and therefore they fall within the general restrictions on financial promotions. Limited partnerships are formed under the Partnership Act 1890 and registered under the Limited Partnerships Act 1907 (LPA 1907). A limited partnership is defined as consisting of one or more general partners who are liable for all the debts and obligations of the partnership, and one or more limited partners whose liability is limited to the amount of capital that they contribute.86 It is a key requirement of limited partnerships that the general partner alone is responsible for the day-to-day operation and management of the partnership's affairs: if a limited partner becomes involved in the management of the partnership's business, that limited partner will lose the benefit of limited liability and will be treated as a general partner.87 For this reason, in the asset management context it is usual that an entity connected with the investment manager of a fund that is established as a limited partnership acts as general partner or that management responsibility is delegated to a third party, while investors act as limited partners. Limited partnerships must be registered with the Registrar of Companies (which acts, for these purposes, as the Registrar of Limited Partnerships) in accordance with the provisions of the LPA 1907. Most investment funds operated as limited partnerships will be CISs within the definition under Section 235 FSMA, as they will involve the pooling of investment assets in an arrangement whereby investors do not have day-to-day control over the management of the fund's property. In addition, such limited partnerships are likely to be AIFs for the purposes of the AIFMD (see subsection iii). As a result, the fund manager (whether this be the general partner or a third-party manager) is likely to require FCA authorisation for the regulated activities of establishing, operating or winding up a CIS or for the regulated activity of managing an AIF. The private fund limited partnerships (PFLP) regime came into force on 6 April 2017 pursuant to the Legislative Reform (Private Funds Limited Partnerships) Order 2017 (PFLP Order), which amended the LPA 1907 in certain respects. The PFLP regime is the result of the government's initiative to make the UK a more competitive jurisdiction for fund formation by relaxing or removing some of the more burdensome requirements of the LPA 1907 in relation to such funds, while retaining the flexibility and fiscal advantages of limited partnership structures. A limited partnership must apply to be designated as a PFLP before it can avail itself of the PFLP regime. To be a PFLP, a limited partnership must satisfy two conditions: it must be constituted by an agreement in writing, and it must be a CIS (as defined in Section 235 FSMA, but ignoring any order made under Section 235(5) FSMA). The PFLP regime relaxes a number of rules relating to limited partnerships as they apply to PFLPs. In particular, the regime introduces a non-exhaustive 'white list' of permitted activities that limited partners may undertake without jeopardising their limited liability status (such as consulting or advising with a general partner or any person appointed to manage or advise the partnership about the affairs of the partnership or about its accounts).90 The PLFP regime also removes the requirement for partners to make a capital contribution to the partnership, and it removes certain other administrative burdens, such as the need to advertise changes to the partnership in the Gazette. Given that the PFLP Order overlays existing limited partnership law, it has the advantage of maintaining most of the features of the existing limited partnership law that are familiar to investors and asset managers. Crucially, the tax status of the limited partnership is not affected by the PFLP Order. It is possible for an investment fund incorporated as an LLP to constitute a CIS under Section 235 FSMA in circumstances where the investors do not have control over the day-to-day management of the property of the LLP.93 In practice, this will depend upon how the LLP is established and operates. Unlike limited partnerships, every member of the LLP is capable of being involved in its day-to-day operation. Similarly, FCA guidance confirms that it is possible for LLPs to fall within the definition of an AIF under the AIFMD.94 In such cases, the appropriate FCA authorisation will be required. Like UCITS schemes, AIFs are not a separate type of investment vehicle. Rather, the AIFMD regime constitutes a further layer of regulation applicable to managers of investment funds that meet the definition above. An AIF can be open-ended or closed-ended, and constituted in any legal form, including under a contract, by means of a trust or under statute.98 This broad definition of AIF means that many of the categories of investment fund described above and below fall within its scope, including authorised CISs that are NURSs or QISs, investment trusts, hedge funds, real estate funds and private equity funds. The majority of pension funds (unless they are co-investing with other pension funds) and all insurance funds are excluded. Where a fund does constitute an AIF, the fund itself will remain regulated in the manner set out above, but the manager of such a fund will be regulated pursuant to the AIFMD (although some obligations may indirectly affect the way in which the manager operates AIFs). The various requirements of the AIFMD have been incorporated into the UK regulatory regime through the AIFM Regulations and changes to FCA rules and guidance, including the introduction of the Investment Funds Sourcebook (FUND). There is a degree of overlap, in that managers of NURSs and QISs who are authorised as AIFMs must refer to the new Sourcebook as well as to COLL. Where there is a conflict between a rule implementing the AIFMD and another rule in the FCA Handbook, the AIFMD requirements will prevail.102 The AIFMD Level 2 Regulation,103 which is directly applicable in the UK, contains further detailed requirements relating to certain matters, including the calculation of assets under management and leverage, transparency and operating conditions. d the shareholders or members of the AIFM must be suitable taking into account the need to ensure prudent management. The AIFMD allows for managers of portfolios of AIFs the value of whose assets under management does not exceed €100 million, or €500 million where each managed AIF is unleveraged and has a lock-in period of five years (small AIFMs),108 to be subject to a lighter regulatory regime. Full-scope UK AIFMs authorised under Part 4A are subject to the full requirements of the AIFMD as set out in the AIFM Regulations and FUND. Small AIFMs may also be authorised to carry out the regulated activity of managing an AIF; however, certain small AIFMs that meet the conditions in Regulation 10 AIFM Regulations need not be authorised under Part 4A and need only be registered as a small registered UK AIFM.109 Small AIFMs are not required to comply with the requirements of the AIFMD, with the exception of certain registration, reporting and notification requirements contained in Article 3 of the AIFMD.110 As a consequence, small AIFMs do not benefit from the AIFMD's managing and marketing passports unless they opt in to meet the full requirements of the AIFMD. A small authorised UK AIFM will also be subject to the relevant parts of the FCA Handbook. A UK AIFM may manage a non-EU AIF that is not marketed in the EU provided that it complies with the AIFMD (with the exception of the requirements for a depositary and annual report). There must also be appropriate cooperation arrangements in place between the FCA and the supervisor in the country in which the AIF is established. Provisions requiring non-EU AIFMs to be authorised are expected to come into force when the passport becomes available (see Section III.iii). AIFMs must comply with a number of conduct, organisational and prudential requirements. The most significant and controversial additions to the FCA's prudential and conduct of business rules are the AIFMD requirements relating to remuneration, delegation and depositaries. These are more restrictive than previous requirements. In respect of delegation, there are a number of restrictions.115 An AIFM must notify the FCA before any delegation arrangements become effective, and the AIFM must be able to justify the delegation objectively.116 The AIFM must not delegate its functions to the extent that it becomes a letterbox entity, and the services provided by the delegate must be reviewed on an ongoing basis. The AIFM's liability towards the AIF and its investors is not affected by the AIFM delegating its functions to a third party or by any further sub-delegation. The meaning of letterbox entity has been the subject of considerable debate. Article 82 AIFMD Level 2 Regulation (reproduced in FUND 3.10.9) lists a number of non-exhaustive situations in which an AIFM will be deemed a letterbox entity and not the manager of the AIF. The AIFMD requires certain information to be made available to investors and the FCA by AIFMs. A UK AIFM must disclose specified information to investors (set out in FUND 3.2) for each AIF that it manages or markets, both prior to investment and on a periodic basis thereafter. For instance, it must disclose the investment strategy of the AIFM, a description of the AIF's risks and risk management, and a description of all fees that are borne directly or indirectly by investors. The AIFM must also make an annual report available to investors119 and regularly report to the FCA on the matters set out in FUND 3.4 (including the main instruments in which it is trading, its risk profile and, if the AIF employs leverage on a substantial basis, details of the level of leverage employed). Managers of private equity funds and hedge funds, among others, may have to report significantly more information to their investors under this regime than they previously had to. An AIFM must notify the FCA when an AIF that it manages acquires, disposes of or holds significant holdings in a non-listed company.120 Further, when an AIF acquires, individually or jointly, control of a non-listed company, its AIFM must notify the company, the company's shareholders and the FCA, and must make various disclosures as to the intentions of the AIF with regard to the future business of the company. In addition, there are asset-stripping provisions whereby the AIFM must use its best efforts to prevent any distributions, capital reductions, share redemptions or the acquisition by the company of its own shares in the first two years after the AIF acquires control.121 This restriction is subject to certain qualifications; for instance, only distributions that would cause the company's net assets to fall below the subscribed capital or that would exceed available net profits are prohibited.122 These requirements are particularly relevant to managers of private equity funds; hence, they are known colloquially as the private equity provisions. The AIFM Regulations implement the AIFMD passporting regime under which authorised EU AIFMs are able to manage and market EU AIFs to professional investors in other Member States without additional authorisation. Guidance on management and marketing passports for UK purposes is set out in the FUND, Supervision (SUP) and PERG Sourcebooks in the FCA Handbook. To exercise passport rights, a UK AIFM must meet the conditions set out in Schedule 3 FSMA, including notifying the FCA of its intention to manage or market an AIF in the EU.123 The availability of the marketing passport was originally expected to be extended to non-EU AIFs and EU AIFs managed by non-EU AIFMs in certain jurisdictions in 2015, and possibly to non-EU AIFMs wishing to market into the EU from 2018.124 However, this has since been delayed, and it remains to be seen when and in what form this may be introduced.125 If the regime is extended, non-EU AIFMs will have to be authorised by their Member State of reference,126 and comply fully with the AIFMD, to take advantage of the passport. Currently, non-EU AIFs and EU AIFs managed by non-EU AIFMs may be marketed to professional investors in the UK under the national private placement regime. To do so, an AIFM must comply with certain requirements, including notification to the FCA, and compliance with the transparency requirements and private equity provisions.127 The national private placement regime is not available to EU AIFs managed by EU AIFMs, which can now only be marketed to professional investors in accordance with the AIFMD as described above. No changes have been made to the range of AIFs that may be marketed to the general public in the UK (including NURSs and investment trusts) and the domestic rules on the promotion of AIFs to retail investors continue to apply, but each of these must now be managed by an authorised AIFM. An estimated £8.1 trillion of funds were under management in the UK at the end of 2016, an increase of 17.4 per cent on the previous year.128 This growth is partly due to the pound's depreciation against other major currencies after the referendum on the UK exiting the European Union in June 2016. The UK is the second-largest global fund management centre, after the US, with a share of 6.6 per cent of worldwide conventional funds under management. London is the leading centre for fund management in the UK, but other large fund management centres include Aberdeen, Liverpool, Manchester, Edinburgh, Bristol, Oxford, Cambridge Glasgow and Birmingham. The UK fund management industry has a strong international orientation: over one-third of funds under management in the UK (around £2.6 trillion) are from overseas. In addition, around 57 per cent of the large and medium-sized asset management firms in London are owned by overseas investors. Institutional clients provide the majority of funds under management in the UK, contributing around two-thirds of total funds in 2016. Within the institutional investor category, insurance funds contributed £1.1 trillion, pension funds just under £3 trillion and other institutional investors (comprising corporations, local authorities, sovereign wealth funds (SWFs) and charities) over £1.4 trillion. The past 15 years have seen a gradual reduction in the allocation of funds to equity investments, an increase in investment in bonds and generally more diversification of investments. In the institutional investment industry, this trend has been influenced by a range of factors, including changing regulatory requirements, an increasing focus on liability driven investments (see Sections VI.i and ii) and a move away from volatile equity markets. The UK Stewardship Code (Stewardship Code) was first published by the Financial Reporting Council (FRC) in July 2010, with the aim of improving the engagement of firms who manage assets on behalf of others with the companies in which they invest. It is directed at institutional investors with equity holdings in UK listed companies, and sets out seven principles covering the monitoring of and engagement with companies on matters such as strategy, performance, risk, remuneration and corporate governance. A new edition of the Stewardship Code has applied since 1 October 2012. In June 2011, the government established the Kay Review, which was tasked with reviewing the operation of the UK equity markets and their impact on the long-term performance and governance of UK quoted companies. The final report, published in July 2012, stated that asset managers have become the dominant player in the investment chain, and the appointment and monitoring of asset managers is too often based on short-term relative performance.138 The report recommended that asset managers should contribute more to the performance of businesses through greater involvement in the companies in which they invest, and suggested that the Stewardship Code should be developed to incorporate a more expansive form of stewardship, encompassing strategic issues as well as corporate governance.139 In line with this recommendation, the revised edition of the Stewardship Code emphasised that stewardship should include matters of company strategy. The report also recommended that all participants in the investment chain, including asset managers, should be subject to fiduciary standards in relation to their clients, which should not be overridden by contractual terms in investment management agreements. In October 2014, the Department for Business, Innovation and Skills reported on the UK's progress in implementing the Kay Review recommendations. It noted that good progress had been made, and that initiatives were in place to encourage effective shareholder engagement and stewardship investment, improve the quality of reporting and dialogue in the investment chain, and build trust-based relationships and align incentives through the investment chain. In June 2006, the FSA launched a review of retail distribution in the UK with the aim of helping consumers to achieve a fair deal from the financial services industry, and to have confidence in the products they buy and the advice they take. In June 2014, the Chancellor of the Exchequer and the Governor of the Bank of England launched a review aimed at reinforcing confidence in the wholesale fixed income, currency and commodities (FICC) markets: the Fair and Effective Markets Review). The final report of the Fair and Effective Markets Review, published on 10 June 2015, set out 21 recommendations to promote fairer FICC market structures while also enhancing effectiveness. A further implementation report was published on 28 July 2016. In its final report, the FCA stated that it had concerns about weak price competition in the asset management sector, particularly in relation to active mandates for retail clients, in respect of which it concluded that price competition is not working as effectively as it could be. The FCA also considered whether there is a relationship between fund performance and the level of fees charged by managers, and concluded that both actively managed funds and passive funds – for retail and institutional investors – failed to outperform their own benchmarks once fees were taken into account. Additionally, the regulator noted that it had concerns about how managers communicate investment objectives with their clients, particularly in relation to retail investors. Finally, the FCA voiced concerns about the role of investment consultants and other intermediaries in the asset management sector, particularly in relation to competition among investment consultants. The FCA proposed certain remedies to the issues it identified in its final report. One of those remedies included proposals to strengthen the duty of asset managers to act in the best interests of their clients, and a proposal for consultations on requiring managers to return certain box profits to their funds and making it easier for managers to switch investors to cheaper share classes. Other measures were aimed at increasing price competition in the asset management sector, including the FCA restating its support of the disclosure of an 'all-in' fee to investors, and the consistent and standardised disclosure of costs and charges to institutional investors. The FCA also stated that it would make a reference to the Competition and Markets Authority (CMA) to develop the FCA's investigation to date into the investment consultant and fiduciary management sector. The CMA launched a market investigation into investment consultants on 14 September 2017 and expects to conclude it by March 2019. In the meantime, the FCA has recommended that HM Treasury consider an extension of its regulatory perimeter (pending outcome of the CMA investigation) to include asset allocation advice. In terms of asset allocation, the proportion of UK quoted shares held by insurance companies was estimated at 4.9 per cent at the end of 2016, continuing the fall seen in recent years and the lowest percentage since 1963 (when records began).148 This decrease reflects a move from investment in equities to bonds and alternative investments, and for greater diversification overseas. This trend is partly attributable to the relative under-performance of stocks. Insurers may also have been pushed to become more cautious by solvency requirements.149 Asset allocation may be further affected by recent changes to the regulatory regime. In particular, the transposition of the European Solvency II Directive (Solvency II),150 which came into effect on 1 January 2016, is likely to have an impact on the way in which asset managers invest insurance assets, as certain asset classes now attract higher capital charges than others. The requirements of the relevant European directives have been supplemented and elaborated on in the UK regulatory regime. Aspects of the UK regulatory regime that may affect investments made by insurers include the permitted links regime and requirements that apply to with-profits business. Under the new Solvency II regime, insurers are allowed to use derivatives to cover their technical provisions in respect of linked business without being subject to the requirement that derivatives are held only for the purpose of efficient portfolio management or reduction of investment risks, unless the assets are held in respect of any guarantee of investment performance or other guaranteed benefit provided under the linked long-term contract of insurance.154 However, any use of derivatives will still need to satisfy the prudent person principle more generally. A peculiarity of the UK regulatory regime for insurance is the additional layer of requirements for with-profits funds (long-term insurance funds in which policyholders are eligible to participate, broadly, in any excess of assets over the liabilities of the fund). Additional conduct of business rules, set out in COBS 20, apply to the management of these funds, and additional prudential requirements are set out in the With-Profits part of the PRA Rulebook for both Solvency II and non-Solvency firms. Under Solvency II, additional conduct requirements, but not additional prudential requirements, continue to apply to in-scope firms. Occupational pension schemes do not fall within the scope of the MiFID regime and are not CISs under FSMA; however, the investment of fund assets is generally delegated to an external fund manager who is likely to be subject to those regulations. The investment of the assets of occupational pension schemes is, however, subject to restrictions in the Pensions Act 1995 (as amended by the Pensions Act 2004) and the Occupational Pension Schemes (Investment) Regulations 2005 (Pension Schemes Regulations). There is a further requirement for defined benefit pension schemes in Regulation 4(4), which prescribes that the assets held to cover a scheme's technical provisions (i.e., the value of the scheme's defined benefit liabilities) must be invested in a manner appropriate to the nature and duration of the expected future retirement benefits payable under the scheme. Further significant reforms came into force in April 2015, which included removing the requirement for savers with 'money purchase' schemes to purchase an annuity, thereby increasing the flexibility for individuals when they draw their benefits on retirement. New governance requirements for trustees of defined contribution schemes and restrictions on charges in those schemes were also introduced in April 2015. In its 2014 budget, the government announced plans to introduce legislation to allow new pension scheme products in the UK based on the 'collective defined contribution' scheme model, in which investment of savers' individual funds is pooled to facilitate the sharing of risk and generate economies of scale. However, the legislation providing for these has not yet come into force. On 18 June 2018, the Department for Work and Pensions published a response to the Law Commission's report on social impact investing.170 The response also announced the launch of its consultation to clarify and strengthen trustees' investment duties.171 Among other things, the consultation proposes changes to regulation that would require trustees to update their statement of investment principles to clarify how they take account of financially material considerations, including environment, social and governance issues (ESGs) such as climate change; their policies on the stewardship of investments; and a statement on how they will take account of members views of, for example, ESGs. The government considers that the policy recommendations align with the FCA's proposed changes in relation to regulated pension fund activities. Traditionally, UK commercial property has often been held through various offshore vehicles, including Jersey property unit trusts, to take advantage of favourable offshore tax treatment. It is also common for investors to hold property through UK listed property companies (in addition to unit trusts) that allow pooling of assets to overcome cost-related barriers to entry into the property market, and to take advantage of a lower rate of stamp duty levied on transactions involving shares than is payable in respect of direct transactions involving real property. However, investing in this manner puts shareholders at a disadvantage when compared with investing directly in property because of the possibility of double taxation. Following a consultation on possible changes to the rules governing REITs, the government introduced reforms to the REIT regime in the Finance Act 2012.174 In particular, the former entry charge of 2 per cent of the market value of the properties that are brought within the regime has been abolished, and the requirement that REITs must be listed has been expanded to allow listings on the Alternative Investment Market (AIM) of the London Stock Exchange and other overseas-recognised stock exchanges. Since 6 April 2008, it has also been possible to establish a property authorised investment fund (PAIF) in the UK to act as a tax-efficient property investment vehicle.177 Unlike REITs, PAIFs must be structured as OEICs, and there is no requirement for them to be listed on a regulated stock exchange. However, as OEICs they do not benefit from the exemption from the definition of CISs available to other bodies corporate, and must therefore be authorised by the FCA. To constitute a valid PAIF, the OEIC must carry on a property investment business consisting of one or more of a property rental business, owning shares in UK REITs, or owning shares or units in entities that are equivalent to UK REITs in the jurisdictions in which they are incorporated.178 In addition, OEICs must satisfy certain corporate ownership conditions: no body corporate may be directly or indirectly beneficially entitled to 10 per cent of more of the net asset value of the OEIC,179 and there must be a genuine diversity of ownership, requiring shares in the OEIC to be widely available.180 There are also requirements that the OEIC must not be a party to any non-standard loan relationship;181 that a certain percentage of its net income must be from, and a certain percentage of its total assets by value must be used in, its property investment business;182 and that notice of its status as a PAIF must be given to HM Revenue & Customs (HMRC).183 Once they come within the ambit of the regime, PAIFs benefit from favourable corporation tax treatment relating to their property investment businesses. As hedge funds are typically located in offshore jurisdictions (largely owing to the favourable tax treatment that can be obtained in those territories), there are relatively few UK-based hedge funds. However, London is the second-largest global centre for hedge fund managers (after New York). In practice, the regulation of hedge funds under English law has therefore tended to focus on the managers themselves, rather than the fund entities, which tend to be beyond the UK's jurisdictional reach. All hedge fund managers, like other investment managers, are likely to be undertaking activities that constitute a regulated activity for the purposes of the FSMA and the Regulated Activities Order.185 As a result, they must have the necessary FCA authorisations to carry out such activities. Certain funds that invest in underlying hedge funds (funds of funds) may be based in the UK and may be listed on the London Stock Exchange as investment trusts. As discussed earlier, investment trusts are not CISs for the purposes of the FSMA and do not require FCA authorisation themselves. Nonetheless, the investment manager of an investment trust will still need to be authorised. The advantage of a UK-listed fund of funds is that it can provide an indirect route to investment in multiple underlying hedge funds while still requiring adherence to the continuing obligations and reporting requirements contained in the UK Listing Authority's Listing Rules. In the past, the FSA (predecessor to the FCA) took the view that hedge fund managers, by virtue of managing offshore funds, have a low impact on the UK financial markets and represent little risk to UK retail investors.186 The FSA therefore made a conscious decision not to allocate a large amount of its supervisory resources to hedge fund managers. However, in recent years the regulator has become increasingly interested in the activities of hedge funds, and the potential systemic risks posed by such funds, particularly as counterparties to trades with financial institutions and others within the financial markets.187 The risks associated with hedge funds are reviewed on an ongoing basis, and the FCA has significantly increased its scrutiny of the hedge fund industry, including through enforcement action taken against hedge fund managers and their staff. UK regulation of hedge funds is also led by the overarching provisions introduced by EU legislation such as the AIFMD. There has been recent growth in the number of UCITS-compliant hedge funds,188 the managers of which will not be required to comply with the AIFMD but will nevertheless likely require FCA authorisation for carrying out regulated activities as described above.189 Non-UCITS hedge funds are likely to fall within the definition of AIFs; the managers of such funds, as AIFMs, are subject to the requirements of that regime. In the UK, private equity firms typically use limited partnerships as investment vehicles to take advantage of their tax-transparent nature and their lower disclosure requirements as compared with limited companies or LLPs. The limited partners in the partnership are typically the institutional investors in the private equity fund, while the private equity firm will usually act as the general partner and will therefore be responsible for the day-to-day management of the partnership's activities. The UK is the largest and most developed private equity centre in Europe, second in size globally only to the US.192 Fundraising in the private equity sphere has improved significantly in recent years, with 2017 being the fifth consecutive year in which private capital fundraising surpassed the US$300 billion mark.193 Preqin, the alternative investment industry analyst, has noted that prices for assets have been at the forefront of investors' and fund managers' minds, although this did not affect the strong fundraising levels. A keynote address by Johannes Huth of KKR in the 2018 Preqin report noted that the UK's decision to leave the European Union unleashed considerable volatility in the sterling exchange rate, and the full consequences of this event are yet to play out, with one particular concern being that the UK has a substantial current account deficit, meaning it is more vulnerable to shocks as compared with the eurozone, which currently has a current account surplus.194 However, it remains to be seen to what extent the UK's exit from the EU will have a significant impact on private equity fundraising or investment in the UK. There have been some initiatives in recent years to improve the transparency of the private equity industry in the UK in order to address criticism that the activities of private equity funds are opaque and to counteract the perception that they are insufficiently regulated. In November 2007, the Walker Guidelines were introduced to encourage improved disclosure by private equity bodies.195 These voluntary guidelines recommend that private equity firms that meet certain specified criteria196 should publish annual reviews or regular updates on their websites containing information about their investment approaches and portfolios. In addition, the Guidelines state that private equity firms should provide various performance data on a confidential basis to an independent third party appointed by the British Private Equity and Venture Capital Association (BVCA) in an effort to encourage increased transparency about the overall private equity industry. As a result of a consultation by the Walker Guidelines Monitoring Group, the Walker Guidelines were amended in July 2014 to enhance the reporting requirements therein to include the information required by the Companies Act 2006 (Strategic Report and Directors' Report) Regulations 2013. In September 2009, the Institutional Limited Partners Association (ILPA) published its first set of private equity principles with the aim of encouraging improvements in private equity practice by furthering the relationship between general partners and limited partners for the long-term benefit of participants in the industry. A revised set of principles was subsequently released in January 2011 following feedback from industry participants.197 The ILPA principles encourage a greater focus on transparency, governance, and the alignment of interests between private equity managers and their investors. Traditionally, private equity has been a relatively lightly regulated area of asset management in the UK although, in common with other asset management entities, private equity firms have required FCA authorisation if they are undertaking regulated activities specified in the Regulated Activities Order. This relatively relaxed treatment changed, however, following the implementation of the AIFMD, as managers of private equity funds fall within the scope of the regime. The private equity industry has voiced concerns over the potential impact of the AIFMD on private equity activities.198 The rules on remuneration are likely to have an impact on policies at private equity firms, particularly in relation to the requirements for deferred remuneration. Furthermore, the private equity provisions (intended to limit asset-stripping of companies) may interfere with some of the usual funding structures adopted by private equity funds, potentially restricting corporate reorganisations and targeted disposals of parts of a target company's business. Managers of certain venture capital funds may benefit from the European Venture Capital Funds Regulation (VCF Regulation).199 The VCF Regulation applies to managers of collective investment undertakings (other than UCITS schemes) that are established in the EU, are registered in their home Member State in accordance with the AIFMD and manage portfolios of qualifying venture capital funds. Generally, the VCF Regulation applies to managers of collective investment undertakings with assets under management that do not exceed €500 million in total. Such managers may use the European venture capital fund designation if they meet a number of conditions. The VCF Regulation introduces a marketing passport, which can be used to market funds with European venture capital status to EU investors, subject to complying with certain requirements. This allows managers of qualifying funds to benefit from cross-border marketing without having to comply with the full requirements of the AIFMD. There is no specific regulatory regime that applies to foreign investment by SWFs in the UK; instead, the position is regulated by general provisions in domestic and EU law that may permit review of proposed transactions in certain defined circumstances that are of general application. For example, an acquisition of UK assets is always liable to review under the merger control regimes established under the Enterprise Act 2002 or by the EC Merger Regulation201 if there are concerns that the transaction would result in a significant reduction in competition in a particular market. It is also possible for the government to intervene in certain circumstances where the investment involves issues of special public interest – for example, where a transaction might have an adverse effect on media plurality by concentrating control of the supply of newspapers or provision of broadcasting.202 Subject to the range of specific requirements, however, there is no other overriding rule that requires approval for foreign direct investment in the UK. Exchange-traded funds (ETFs) are passively managed open-ended funds that are listed and traded on a stock exchange. The fund's trading price is linked to the net asset value of the underlying assets, and typically tracks the performance of an index such as the FTSE 100. The key characteristics of an ETF are that it is tradeable, and that it offers simple exposure to a more complex underlying asset or index. ETFs are popular with investors as they have lower operating expenses than actively managed funds and a transparent structure (as a listed company), and are tax-efficient. In the UK, ETFs are OEICs. ETFs have performed well in recent years, venturing into emerging markets, real estate, infrastructure, private equity and hedge funds, such that the assets under management of ETFs grew to a record high of US$4.3 trillion in the third quarter of 2017.203 Following a Federation of Small Businesses report on ETFs in April 2011, which highlighted the potential risks of the rapid increase in value of the ETF industry, European regulators have begun to focus attention on these structures. ESMA published revised consolidated guidelines on ETFs and other UCITS-related issues in August 2014, and an updated questions and answers paper on ETFs and other UCITS-related issues in February 2016. The FCA has incorporated ESMA's guidelines into the COLL Sourcebook. The venture capital trusts (VCTs) scheme was introduced in the UK in April 1995 as a means of encouraging individual investors to support higher-risk unlisted start-up companies. VCTs, like investment trusts, are not trusts, but rather are companies that are listed on a regulated market in the EU. They invest in securities issued by small unquoted204 trading companies for which there is no liquid market. VCTs help mitigate this investment risk for investors by spreading their investments across a range of such companies, and by providing liquidity through the VCT's own listed shares to overcome the illiquidity of its underlying assets. The VCT scheme has recently undergone significant change, most notably in the increase in the number of conditions a company must meet in order to be approved as a VCT. For example, the Finance (No. 3) Act 2010 introduced a requirement that investee companies of VCTs must have a UK permanent establishment while the VCT holds the investment and must not be 'in difficulty' when the shares held by the VCT are issued.209 Schedule 8 of the Finance Act 2012 increased the maximum permitted size of investees and added a disqualifying arrangements condition, whereby certain artificial arrangements that are designed to take advantage of VCT reliefs will be excluded from the regime. In addition, the Finance Act 2014 introduced certain measures restricting the ability of VCTs to return share capital to investors and the availability of income tax relief where subscriptions are effectively 'recycled'. Taxation at the fund level is determined by the fund type. In certain cases (e.g., AUTs and OEICs, which for tax purposes are referred to collectively as authorised investment funds, exempt UUTs, investment trusts, VCTs and REITs), the relevant tax treatment will apply only if certain statutory criteria are met. A summary of the usual tax treatment of each of the main types of investment vehicle is set out below. The above summary assumes that the relevant vehicle is resident in the UK for UK tax purposes. Where an investment vehicle invests in UK assets but is not resident in the UK, it will only be subject to tax in the UK to the extent that its investments comprise UK land or are subject to UK tax at source, or it is trading in the UK. A summary of taxation at source of fund distributions and the application of stamp taxes is set out below. Stamp taxes may not apply if the relevant vehicle is not incorporated in the UK and no register of interests in the vehicle is maintained in the UK. * Interest distributions made before 6 April 2017 were subject to withholding on account of income tax unless certain exemptions applied. This is no longer the case for interest distributions made on or after 6 April 2017 pursuant to Section 888B Income Tax Act 2007 (which was inserted by Schedule 5, Finance Act 2017). † Interest distributions made before 6 April 2017 were subject to withholding on account of income tax unless certain exemptions applied. This is no longer the case for interest distributions made on or after 6 April 2017 pursuant to Sections 888C and 888D Income Tax Act 2007 (which was inserted by Schedule 5, Finance Act 2017). Anti-avoidance rules exist to prevent UK-resident companies and individuals rolling up income in an offshore fund and effectively converting it into chargeable gains. The rules target arrangements under which participants enjoy benefits from the holding, management or disposal of assets without having day-to-day control over their management, and can expect to obtain a return based on the fund's net asset value or on the value of an index. The UK also has a regime for the effective taxation of controlled foreign companies. Where a UK company holds an interest in a foreign investment company and that foreign company's profits are taxed at less than 75 per cent of the UK rate, all or part of its profits may be allocated to the UK investor depending on, inter alia, the extent of the investor's interest in the company. In addition, the UK has rules that can operate to tax income arising in an offshore vehicle in the hands of an individual in certain circumstances. The Finance Act 2015 inserted a new Chapter 5E into Part 13, Income Tax Act 2007 with the aim of ensuring that an investment manager's management fees are subject to income tax, rather than being converted into capital receipts. New legislation streamlining the tax rules and reporting requirements for authorised contractual schemes has come into force recently, including the Collective Investment Schemes and Offshore Fund Regulations 2017 and the Co-ownership Authorised Contractual Schemes (Tax) Regulations 2017. In March 2017, the government published a summary of responses to a consultation on the tax treatment of partnerships, LLPs and their partners in which it announced its intention to introduce legislation for the 2018 to 2019 tax year. Draft legislation was published in September 2017 and is included in the Finance Act 2018. The new legislation seeks to remove uncertainty and provide clarity for partnerships. The measures require greater transparency as to the persons ultimately entitled to the profits of partnerships and the basis on which such persons will be taxed on those profits. The UK has adopted a proposal put forward by the Organisation for Economic Co-operation Development (OECD) as part of the base erosion and profit shifting (BEPS) project, including the adoption of detailed rules aimed at certain hybrid mismatch arrangements, which had effect from 1 January 2017. Such measures have the ability to impact the tax treatment of funding structures commonly used by private equity and hedge funds in particular. Non-UK residents (which are generally exempt from tax on dividends from UK-resident companies) may be subject to tax at a rate of 20 per cent on property income distributions imposed by way of withholding tax. It is possible for taxpayers to receive a reduced rate of withholding tax under a double tax treaty subject to the terms of the double tax treaty. Currently, anti-forestalling rules prevent taxpayers from moving investments to take advantage of a double tax treaty with a more favourable tax treatment. These apply to arrangements entered into on or after 22 November 2017. In its draft Finance Bill 2019, the government proposed to significantly broaden its tax base with respect to gains made by non-UK residents on disposals of UK property. These changes will be finalised for the 2018 budget and will come into effect from April 2019. Significantly, gains made by non-residents on the disposal of an interest in a REIT could fall within the scope of UK tax if conditions for an indirect disposal are met. Brexit and its potential impact on the UK financial sector continue to be topics of discussion. On 19 March 2018, the government published a draft withdrawal agreement, which provides for a transition period of a little under two years (ending 31 December 2020) during which the UK would continue to be subject to EU law and would benefit from the same rights as at present (e.g., passporting). There remains uncertainty about whether the UK and the EU will reach agreement on the withdrawal agreement (including the envisaged transition period) and, thereafter, the extent to which Brexit will be 'hard' or 'soft'. In light of this, asset managers are looking at how they might restructure their business arrangements in order to continue to benefit from passporting across the EU, and whether to re-domicile UK funds or management activities to other centres, such as in Ireland or Luxembourg. The senior managers and certification regime (SMCR), which currently covers banking firms, and to a more limited extent insurers, is being extended to all FCA solo-regulated firms, including asset managers. While the implementation date for FCA solo-regulated firms is now expected to be some time in mid to late 2019, the FCA is already consulting on the details of the regime's extension. The FCA has sought to adopt a proportionate approach to the extension, reflecting the diverse businesses across the financial services sector and the different sizes and complexities of individual firms. Firms will be categorised as 'limited', 'core' or 'enhanced', largely based on size, with a different level of requirements applying to each. However, the FCA will have discretion to elevate smaller but more complex asset managers to the category of 'enhanced' if it believes such firms merit greater scrutiny, which will require them to comply with a broader set of requirements. c identify SMF handover procedures. Senior managers will be subject to conduct rules and a duty of responsibility in relation to the business areas they head up. A prescribed responsibility will apply to AFMs, which requires a senior manager (usually the chair) to take reasonable steps to ensure the firm complies with its obligation to carry out an assessment of value, its duties relating to independent directors and to act in the best interests of fund investors. Applying the rules may be more challenging for asset managers, where partnerships and flatter operating structures are more common. c wholesale financial markets (focusing on the implementation of the market abuse and MiFID regimes, and the Fair and Effective Markets Review). 1 Paul Dickson is a partner at Slaughter and May. The author would like to thank Lucy Sale, Kyle O'Sullivan and Magdalena Kowalczuk for their assistance in preparing this chapter. 2 The IA was formed by a merger between the Investment Management Association and the Investment Affairs Division of the Association of British Insurers in June 2014. 3 Asset management: A regulatory perspective, speech by Andrew Bailey, Chief Executive of the FCA, 26 April 2018. 4 The IA, Asset Management in the UK 2016–2017: The Investment Association Annual Survey, September 2017. Also, see for example, the Chancellor of Exchequer's speech at the Mansion House dinner on 21 June 2018. 8 Activities (e) and (f) were introduced from 22 July 2013 by the Alternative Investment Fund Managers Regulations 2013. If a person has permission to manage an AIF or a UCITS scheme, they need not obtain permission to operate a CIS in respect of that AIF or UCITS scheme; however, an investment manager that manages AIFs and UCITS schemes must hold permissions for both activities. 11 Section 21(2) and 21(5) FSMA. The exemptions to the basic prohibition on financial promotions by unauthorised persons are set out in the Financial Services and Markets Act 2000 (Financial Promotion) Order 2001 (SI 2001/1335) (as amended). 13 Section 235(2) FSMA. The meaning of the term day-to-day control was considered by Laddie J in Russell Cooke Trust Co v. Elliott  All ER 197, in which he concluded that the mere fact that investors have a right to be consulted or can give directions to an investment manager of a fund did not necessarily mean that they had day-to-day control over the property of that fund. 14 The glossary in the FCA Handbook makes clear that the term operator means the person or entity responsible for management of the scheme or property within the scheme. 17 Schedule to Article 3, Paragraphs 17, 20 and 21 Collective Investment Schemes Order. 18 Articles 81 and 51ZE Regulated Activities Order. 19 Exemptions from Section 238 FSMA are set out in the Financial Services and Markets Act 2000 (Promotion of Collective Investment Schemes) (Exemptions) Order 2001 (SI 2001/1060) and the FCA's Conduct of Business Sourcebook (COBS). 21 The FCA Handbook is available at www.handbook.fca.org.uk/handbook. 22 See Section III of the European Overview chapter. 23 Recent thematic reviews include a 2015 thematic review about benefits provided and received by firms conducting MiFID business, and those carrying out regulated activities in relation to a retail investment product: TR 16/3 Meeting of investors' expectations, TR15/1 Asset management firms and the risk of market abuse, TR14/19 Wealth management firms and private banks – conflicts, and TR14/7 Clarity of fund charges. 24 See Section III of the European Overview chapter. 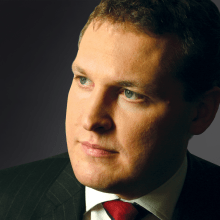 25 FCA, Automated investment services – our expectations, 21 May 2018. See also Finalised Guidance FG 17/8, Streamlined advice and related consolidated guidance, September 2017. 26 FCA, Robo Advice: an FCA perspective, 2 November 2017. 27 Acting as trustee of an AUT is a specified activity under Article 51ZB (in relation to UCITS schemes) or Article 51ZD (in relation to AIFs) of the Regulated Activities Order, as applicable. 29 Section 238(4)(a) FSMA, which disapplies the general restriction on the promotion of CISs in Section 238(1). 30 Section 100 Taxation of the Chargeable Gains Act 1992. 31 Traditionally, English company law has resisted the idea of companies having variable capital, and has imposed relatively strict maintenance of capital rules that have prevented companies from being suitable open-ended investment vehicles. Prior to the development of OEICs, closed-ended investment trusts (which are actually companies under English law) were the typical form of body corporate employed as a collective investment vehicle. 32 Regulation 5 OEIC Regulations. 33 See Chapter 6 of COLL, which sets out the ongoing operating duties and responsibilities of the authorised corporate director of an OEIC. 36 Regulation 3(1) OEIC Regulations. 37 These include, for example, that the OEIC's shareholders are not liable for its debts (Paragraph 2(c)), and that the charges and expenses of the OEIC may be taken out of the scheme property (Paragraph 2(e)). In addition, the instrument of incorporation must contain provisions stating the object of the OEIC (Paragraph 3(1)(a)), the currency in which its accounts are to be prepared (Paragraph 3(1)(c)), the maximum and minimum sizes of its capital (Paragraph 4(1)(c)), and the rights attaching to each class of its shares (Paragraph 4(1)(f)). 38 Regulation 15(11)(a) OEIC Regulations. 39 Regulation 15(11)(b) OEIC Regulations. 40 Section 238(4)(b) FSMA disapplies the general restriction on the promotion of CISs in Section 238(1) FSMA. 45 Section 238(4)(aa) FSMA disapplies the general restriction on the promotion of CISs in Section 238(1). 48 Transferable securities are defined in COLL 5.2.7 as shares, debentures, alternative finance investment bonds, government and public securities, warrants or certain certificates conferring contractual or property rights in connection with such securities. However, under COLL 5.2.7(2), investments will not constitute transferable securities if the title to them cannot be transferred, or cannot be transferred without third-party consent (except, in the case of a body corporate, any consent required by the body corporate itself, its members or its debenture holders, which may be excluded under COLL 5.2.7(3)). 49 COLL 5.2.6A sets out the permitted types of property that may be included in the portfolio of a UCITS scheme. This includes transferable securities, approved money-market instruments (broadly speaking, liquid instruments normally traded on money markets), units in CISs, derivatives and forward transactions, and deposits. In the case of OEICs, this also includes any movable or immovable property that is essential for the direct pursuit of the OEIC's business. 50 COLL 1.2.2 and COLL 3.2.8. 51 COLL 5.2 to COLL 5.5. 58 See the guidance in COLL 5.6.2. 59 COLL 5.6.4 and COLL 5.6.5. 63 COLL 5.2.11(7) (although the limit for UCITS schemes is raised to 10 per cent if the derivative counterparty is a financial institution recognised by the FCA rules as an approved bank). 64 A feeder NURS is a NURS that invests in units only in a single CIS that is itself a NURS, a UCITS scheme or a recognised overseas scheme. 67 COLL 5.5.4(1)–(3) and (8), although significantly a NURS's borrowing powers are not limited only to borrowings on a temporary basis, as COLL 5.5.4(4) and (5) do not apply to a NURS. 68 COLL 5.5.6 and COLL 5.5.7(1), (2) and (4). 70 COLL 5.7.2 and COLL 5.7.7. 73 QISs fall within the definition of non-mainstream pooled investment and therefore are subject to the marketing restrictions in COBS 4.12 (see Section II.i). 80 Although LR 15 is stated to apply only to closed-ended investment funds with a premium listing, LR 1.5.1 makes clear that investment trusts will require a premium listing for their equity shares. 83 LR 15.4.2 and LR 15.4.8. 85 See Paragraph 21 of the Schedule to the Collective Investment Schemes Order. 86 Section 4 LPA 1907. 87 Section 6(1) LPA 1907. 88 HM Treasury consultation on draft legislation, Proposal on using Legislative Reform Order to change partnership legislation for private equity investments, July 2015. 90 Section 6A(2)(i) LPA 1907 (amended by the PFLP Order). 91 Section 1(2) Limited Liability Partnerships Act 2000. As such, they may hold property and enter into contracts in their own name. 92 Section 3 Limited Liability Partnerships Act 2000. 93 LLPs are specifically excluded from being able to take advantage of the general exclusion for bodies corporate in Paragraph 21 of the Schedule to the Collective Investments Schemes Order. 94 The FCA's Perimeter Guidance Manual (PERG) 16.2, question 2.2. 96 PERG provides further guidance on the definition of a collective investment undertaking. Broadly, the following characteristics should, if all apply, show that an undertaking is a collective investment undertaking: it does not have a general commercial or industrial purpose; it pools together capital raised from its investors with a view to generating a pooled return; and the investors, as a collective group, have no day-to-day discretion or control. 97 Regulation 3(1) AIFM Regulations. 98 Regulation 3(2) AIFM Regulations. 99 Regulation 4(1) AIFM Regulations. 100 Regulation 4(2) AIFM Regulations. 101 Regulation 4(3) AIFM Regulations. 104 Regulation 5(3)(c) AIFM Regulations and Article 9 AIFMD. 106 See Section VII.ii of the European Overview chapter. 107 HM Treasury, Transposition of the Alternative Investment Fund Managers Directive, January 2013. 108 Regulation 9 AIFM Regulations. 109 Broadly, Regulation 10 allows for the registration of internally managed, closed-ended investment companies (such as investment trusts); external managers of certain property funds; and managers of European social entrepreneurship funds and European venture capital funds. Schedule 8 of the Regulated Activities Order provides for small registered UK AIFMs to be excluded from the regulated activity of managing an AIF. 110 These reporting requirements are contained in the FCA's Supervision Sourcebook (SUP) 16.18. 111 FUND 3.6.3 and 3.7. 112 Senior Management Arrangements, Systems and Controls (SYSC) 10.1. 113 SYSC 19B.1.2 and 19B.1.3. 120 Regulation 38 AIFM Regulations. 121 Regulation 43(1) AIFM Regulations. 122 Regulation 43(2) AIFM Regulations. 124 Article 67 of the AIFMD provides the European Commission with the power to adopt a delegated act to such effect after receiving positive advice from the European Securities and Markets Authority (ESMA). Although ESMA published two pieces of advice on this subject in July 2015 and July 2016, it considers that it needs to conduct further assessments of certain jurisdictions. 125 See Section V of the European Overview chapter. 126 The Member State of reference should be determined in accordance with Article 37(4) AIFMD. 127 Regulations 57 and 59 AIFM Regulations. 128 All figures in this section are taken from TheCityUK, UK Fund Management, April 2018. The figures are believed to be conservative, as they do not take account of those funds for which there are no available estimates, such as certain funds managed on behalf of sovereign wealth funds and private clients. 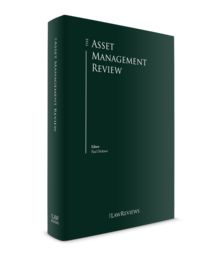 131 Ibid, and IA, Asset Management in the UK 2012–2013: The Investment Association Annual Survey, August 2013. 132 IA, Asset Management in the UK 2012–2013: The Investment Association Annual Survey, August 2013. 133 IA, Asset Management in the UK 2016–2017: The Investment Association Annual Survey, September 2017. 134 See NAPF, UK Stewardship Code: Guidance for Investors, November 2010. 135 See NAPF, Stewardship Policy 2012, November 2012. 136 IA, Stewardship In Practice - Asset Managers and Asset Owners at 30 September 2016, September 2017. 137 FRC, Proposed Revisions to the UK Corporate Governance Code, December 2017. 138 The Kay Review of UK Equity Markets and Long-term Decision Making: Final Report, July 2012. 140 COBS 6.1B and 6.2A, and the 'Training and Competence' manual of the FCA Handbook. 141 HM Treasury, Senior Managers and Certification Regime: extension to all FSMA authorised persons, October 2015. 142 FCA CP17/25, Individual Accountability: Extending the Senior Managers & Certification Regime to all FCA Firms. 143 FCA CP17/18, Consultation on implementing asset management market study remedies and changes to Handbook. 144 FCA, Policy Statement PS18/8, Asset Management Market Study remedies and changes to the handbook – Feedback and final rules to CO17/18, April 2018. 145 FCA, Consultation Paper CP18/9, Consultation on further remedies – Asset Management Market Study, April 2018. 146 Association of British Insurers, UK Insurance & Long-term Savings – Key Facts, November 2017. 147 TheCityUK, UK Fund Management. April 2018. 148 Office of National Statistics, Ownership of UK Quoted Shares: 2016, 29 November 2017. 149 Kate Burgess, 'Big British funds cut UK stocks ownership', Financial Times, 12 March 2012. 152 Principally an index that is calculated independently, transparently and based on constituents that are permitted links. 153 See FCA, Policy Statement PS15/8, Solvency II, March 2015 and FSA, Consultation Paper CP11/23, Solvency II and linked long- term insurance business, November 2011. 154 Investments 5.1 and 5.2 of the PRA Rulebook for Solvency II firms. 156 Section 34 Pensions Act 1995. 157 Section 35 Pensions Act 1995 (as amended by the Pensions Act 2004). Regulation 2(1) of the Occupational Pension Schemes (Investment) Regulations 2005 specifies that the statement of investment principles should be reviewed at least once every three years, and in any event following any significant change in investment policy. 158 Regulation 2(3) Occupational Pension Schemes (Investment) Regulations 2005. 159 Section 36 Pensions Act 1995. 160 Regulation 4(2) Occupational Pension Schemes (Investment) Regulations 2005. 161 Regulation 4(3) and (7) Occupational Pension Schemes (Investment) Regulations 2005. 162 Regulation 4(5) and (6) Occupational Pension Schemes (Investment) Regulations 2005. 163 Regulation 4(8) Occupational Pension Schemes (Investment) Regulations 2005. 164 Regulation 4(9)(a) Occupational Pension Schemes (Investment) Regulations 2005. 165 As defined in the Occupational Pension Schemes (Investment) Regulations 2005. 166 Regulations 4(9)(b) and 4(10) Occupational Pension Schemes (Investment) Regulations 2005. 167 Office of National Statistics, Pension Trends, Chapter 9: 'Pension scheme funding and investment' (2011 edition), 20 April 2011. 168 Section 28: Employee Benefits. 169 Pensions Policy Institute, Automatic Enrolment Report 3: How will automatic enrolment affect pension saving?, 17 July 2014. 170 Law Commission, Pension Funds and Social Investment, June 2017. 171 Department for Work and Pensions, The Occupational Pension Schemes (Investment and Disclosure) (Amendment) Regulations 2018, June 2018. 173 PIA, Property Data Report 2015, October 2015. 174 The relevant changes are contained in Schedule 4 of the Finance Act 2012, which amends Part 12 of the Corporation Tax Act 2010. 175 See the discussion of CISs in Section II. 176 FSA, CP13/9, Implementation of the Alternative Investment Fund Managers Directive, March 2013 and PERG 16.2, question 2.30. 177 The PAIF regime was introduced by the Authorised Investment Funds (Tax) (Amendment) Regulations 2008 (SI 2008/705) adding a new Part 4A to the Authorised Investment Funds (Tax) Regulations 2006 (SI 2006/964). 178 Regulation 69F Authorised Investment Funds (Tax) Regulations 2006. 179 Regulation 69K Authorised Investment Funds (Tax) Regulations 2006. 180 Regulation 9A Authorised Investment Funds (Tax) Regulations 2006. 181 Regulation 69M Authorised Investment Funds (Tax) Regulations 2006. 182 Regulation 69N Authorised Investment Funds (Tax) Regulations 2006. 183 Regulation 69O Authorised Investment Funds (Tax) Regulations 2006. 184 Section 65A and Schedule 7A Finance Act 2003. 185 For example, such managers are likely to be managing investments under Article 37 of the Regulated Activities Order, advising on investments under Article 53 of the Regulated Activities Order or managing an AIF under Article 51ZC of the Regulated Activities Order. 186 FSA, Hedge funds and the FSA at Paragraph 4.24, August 2002. 187 See, for example, FSA, 'Accessing the possible sources of systemic risk from hedge funds – a report on the findings of the FSA's Hedge Fund Survey and Hedge Fund as Counterparty Survey', February 2012. 188 The CityUK, Hedge Funds, May 2013. 190 The HFSB, The Hedge Fund Standards (11/2015), 5 November 2015. 191 The HFSB, Annual Report 2014. 192 TheCityUK, UK Fund Management, April 2018. 193 Preqin, 2018 Preqin Global Private Equity & Venture Capital Report, 2018. 195 Sir David Walker, Guidelines for Disclosure and Transparency in Private Equity, November 2007. 196 Under the Guidelines, a private equity firm is defined as 'a firm authorised by the FSA that is managing or advising funds that either own or control one or more UK companies or have a designated capability to engage in such investment activity in the future where the company or companies are covered by the enhanced reporting guidelines for portfolio companies'. In turn, a portfolio company is defined as 'A UK company (a) acquired by one or more private equity firms in a public to private transaction where the market capitalisation together with the premium for acquisition of control was in excess of £300 million, more than 50 per cent of revenues were generated in the UK and UK employees totalled in excess of 1,000 full-time equivalents; [or] (b) acquired by one or more private equity firms in a secondary or other non-market transaction where enterprise value at the time of the transaction is in excess of £500 million, more than 50 per cent of revenues were generated in the UK and UK employees totalled in excess of 1,000 full-time equivalents'. 198 See, for example, the statement by Simon Walker, Chief Executive of the BVCA, on the AIFMD on 26 October 2010, in which he referred to the AIFMD as a 'defective Directive', and argued that the EU had taken a 'hostile interest in the wrong industry at the wrong time and for the wrong reasons'. 200 TheCityUK, UK Fund Management, April 2018. 202 Section 59 Enterprise Act 2002. 203 TheCityUK, UK Fund Management, April 2018. 204 In Section VCM55180 of the HMRC Venture Capital Schemes Manual, HMRC indicates that shares listed on the AIM market are regarded as unquoted for the purposes of the VCT regime. 205 Section 259 Income Tax Act 2007. 206 Section 274 Income Tax Act 2007; Regulation 3 Venture Capital Trust Regulations 1995. 207 Section 100 Taxation of Chargeable Gains Act 1992. 208 Further guidance on HMRC's interpretation of the VCT regime is available in the HMRC Venture Capital Schemes Manual. 209 HMRC has provided limited guidance on the interpretation of the phrase 'in difficulty' by reference to relevant guidelines on the EU state aid rules. See Section VCM55050 of the HMRC Venture Capital Schemes Manual, which reproduces guidance provided in the European Community Guidelines on State Aid for Rescuing and Restructuring Firms in Difficulty (2004/C244/02). 210 Section 303(1) Income Tax Act 2007 (as amended by Section 28 Finance Act 2016). 214 European Securities and Markets Authority, Opinion to support supervisory convergence in the area of investment management in the context of the United Kingdom withdrawing from the European Union, 13 July 2017. 215 ESMA, Keynote Address, CMU, Brexit and ESA review – What's next?, 20 March 2018.